"Revel in the calm and tranquillity of the Karoo - true nectar for the soul." The stillness of the ancient landscape brings with it a much slower pace of living. Here, people take time to chat - when they ask how you are, they really want to know and they'll sit down with you for a while to hear. Add to that the breathtaking landscape, a unique biome of lush flowers and an abundance of wildlife, the Karoo will capture your heart and you will want to stay forever! Thabile means "a place of happiness" in the native language Sotho and is situated at the foothills of the Swartberg mountains in the Little Karoo, just outside of Oudtshoorn, South Africa. Your host Len, will warmly welcome you to his Lodge... which has become a natural extension of his home - you will arrive as guests, but leave as friends! The lodge's quiet, farm atmosphere offers sanctuary from the glow and buzz of the city - the perfect oasis for balancing the mind, body and soul. Please know that we are an animal-loving Lodge and Len as well as all of his 4-legged friends, look forward to welcoming you to Thabile Lodge! 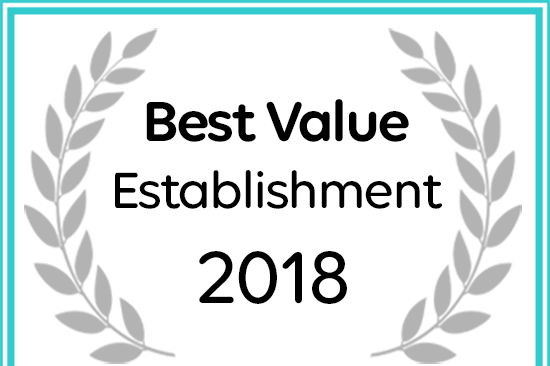 Thabile Lodge has received a 2018 award for Best Value Oudtshoorn Accommodation.